The government refuses to confirm or deny the presence of British special forces in Yemen. Its missions are exempt from freedom of information and even Parliament’s defence committee. This wall of secrecy cracked slightly after five SBS members were injured in Yemen, causing an insider to speak out anonymously last month. The insider’s allegations were then raised in Parliament, just hours after Foreign Office Middle East minister Alistair Burt resigned over Brexit. At the Court of Appeal — The government will defend its arms sales to Saudi Arabia at a secret court hearing in London tomorrow in a bid to obscure sensitive details about Britain’s covert role in the Yemen war. The Court of Appeal went into closed session this afternoon with journalists, campaigners and some lawyers forced to leave court room 72 until later today. Only security-vetted judges and special advocates remained to discuss “a large quantity” of evidence behind locked doors. The government said the secrecy was required to “protect national security” and avoid divulging highly sensitive aspects of its relationship with Saudi Arabia and the ongoing war in Yemen. It comes amid incendiary allegations in the press that British special forces are directing Saudi bombing raids in Yemen. The Mail on Sunday has claimed that members of the Royal Navy’s elite Special Boat Service (SBS) have “forward air controllers” on the ground in Yemen. These are specially trained commandos who guide fighter jet pilots on bombing runs to ensure they hit targets. Their presence in Yemen could explain the British government’s insistence that Saudi air strikes are not causing civilian casualties. Sir James Eadie QC, a lawyer who represents the Department for International Trade, has repeatedly cast doubt on reports by Amnesty International, Medecins Sans Frontieres and even a UN panel of experts who say Saudi Arabia is bombing Yemeni schools, mosques and hospitals. Mr Eadie said in open court yesterday that International Trade Secretary Liam Fox is privy to more information than charities and the UN about the Saudi military’s decision-making process. He refused to explain how this was possible in public session and promised to reveal more in secret court. Mr Eadie said this “secures a more comprehensive and immediate picture than that provided by third party commercial imagery” which is used by the UN. Burt’s shoes were filled at short notice by Mark Field, who went off script and promised to hold an internal investigation – into an issue he could neither confirm nor deny existed. When the Vietnam’s revolutionaries and people defeated the American occupation of their country they were doing so out of their pure patriotism, they did not think that they are doing that on behalf of all the nations and their liberals, they did that to humiliate this arrogant aggressor who controlled the fate of people and their wealth. When the world celebrated the victory achieved by the Vietnamese, they did not express admiration of the miracles achieved by the simple, the poor, and the weak in confronting the killer which is protected by money, techniques, and the limitless capacity of killing, but the world was sighing because America which frightened the world with panic is getting out of the war differently, it will be less brutal not because it got lessons but because it is bleeding and unable to wage it once again. 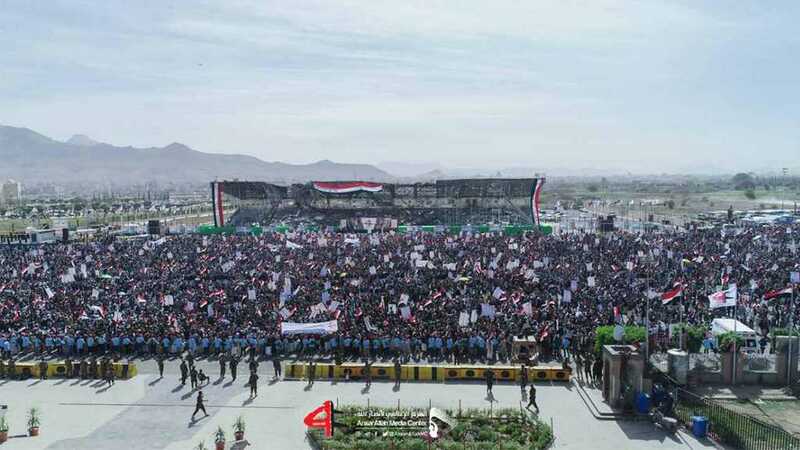 On March 26, 2015 the rulers of Riyadh considered that the freedom of Yemen forms a source of danger against the Saudi era which overshadowed on the Islamic and the Arab worlds since the defeat of the Arab armies in 1967 by the Zionist occupation army which assigned the political outcome of its military victory to its allies as the House of Saud which was also hostile to Gamal Abdul Nasser who was the title of the confrontation with the occupation entity. Therefore, the rulers of Riyadh decided to wage a swift crucial war against the forces of the resistance in Yemen to save the Saudi era from collapse in the light of the understanding on the Iranian nuclear file without taking into consideration the Saudi and the Israeli demands by the West countries on one hand, and in the light of the variables which led to the failure in the war led by Washington on Syria and funded by Saudi Arabia and run by its armed groups o9n the other hand. On March 26, 2015 Yemen was liberated through a popular and military uprising in which the revolutionary and the popular committees participated along with the army, clans, and elites. This led to the liberation of the cities, towns, areas, barracks and institutions. The man of Saudi Arabia Mansour Hadi did not find anyone who carries his photo or shoots a bullet for his sake from Sanaa to Aden. The meeting on the Yemeni-Yemeni political solution was like the consensus on sticking to the independence. But on March 26th of 2015 the House of Saud announced to end the Yemeni independence and to impose the regime of trusteeship and occupation on it, thinking that this issue will take few days by the Crown Prince who wanted to express his leadership of the Arab and Islamic worlds through a swift war and a decisive victory and to impose his authority in preparation for the deal of the Century which was prepared with the Israeli Prime Minister Benjamin Netanyahu under the title “Jerusalem is a united eternal capital of Israeli”. On March 26, 2015, Riad Yassin the Yemeni Foreign Minister at the era of Mansour Hadi announced from Sharm Al Sheikh where the Arab Summit was held to support the Saudi Aggression and to cover it that Eilat will no longer be target of the missiles fired from Al Hodeidah and threaten the security of Israel in any war to come. Now the war is in its fifth year, the dreams of the Saudi Crown Prince are as the promises of Mansour Hadi and his group and as the Deal of the Century and as the security of Eilat, because Al Hodeidah is still steadfast under the control of the Yemeni resisters, and the world which sold UN resolutions that cover the aggression to the Saudi rulers is searching for a settlement that announces the end of the Saudi era as an inevitable result of the failure of the war. The Saudi rulers have succeeded in committing the greatest massacre in the history, the biggest famine, and the displacing of the largest number of inhabitants from children and women without shelter, food, or medicine, but they failed to win in the bet of the war which they waged five years ago thinking that it is a five-days war or five-weeks war. The heroes of Yemen and their courageous and wise leaderships succeeded in repeating what the heroes of Vietnam and their courageous leadership did in getting rid of the ugly brutal slavery that belongs to ignorance, darkness, and injustice. The Yemenis waged our war by proxy, as the House of Saud waged the war of the Americans, the Israelis, and the terrorism, but they were defeated and we won. It is the beginning of the Yemeni era. – عندما كان ثوار وشعب فييتنام يُلحقون الهزيمة بالاحتلال الأميركي لبلدهم كانوا يفعلون ذلك بدافع وطنيتهم الخالصة، ولم يكن في حسابهم أنهم يفعلون بالنيابة عن كل شعوب الأرض وأحرارها، ما يجب لكسر شوكة هذا المعتدي المتعجرف الذي بنى على قوته العمياء تحكمه بمصائر شعوب الأرض وثرواتها. وعندما خرج العالم يحتفل بالنصر الذي حققه الفييتناميون، لم يكن يعبر عن الإعجاب بالإعجاز الذي تحقق على أيدي البسطاء والفقراء والضعفاء في مواجهة آلة الموت العمياء، التي تحميها الأموال والتقنيات وقدرة القتل بلا حدود، بل كان العالم بطريقته يتنفّس الصعداء لأن أميركا التي أرعبت الدنيا وملأتها ذعراً تخرج من هذه الحرب على غير ما دخلتها، وستكون أقل توحشاً ووقاحة بعدها، ليس لأنّها تتعلم الدروس وتتخذ العبر، بل لأنها جريحة تنزف وأعجز من أن تكرر فعلتها مرة أخرى. – في 26 آذار 2015 قرّر حكام الرياض أن حرية اليمن تشكّل مصدراً أولَ للخطر على الحقبة السعودية التي خيّمت على العالمين العربي والإسلامي منذ هزيمة عام 1967 للجيوش العربيّة على يد جيش كيان الاحتلال الصهيوني لفلسطين، الذي قام بتجيير العائد السياسي لنصره العسكري لحساب حلفائه آل سعود الذين شاطروه العداء لجمال عبد الناصر الذي كان يشكل عنوان المواجهة مع كيان الاحتلال، وبناء عليه قرّر حكام الرياض أن حرباً سريعة وحاسمة تنهي قوى المقاومة في اليمن صارت ضرورة لإنقاذ الحقبة السعودية من التداعي الذي أصابها، في ضوء مشروع التفاهم على الملف النووي الإيراني دون الأخذ بالطلبات السعودية والإسرائيلية من قبل دول الغرب، من جهة. وفي ظل المتغيرات التي بدأت ترتسم فشلاً في الحرب التي تقودها واشنطن على سورية وتمولها السعودية وتدير جماعاتها المسلحة، من جهة مقابلة. – في 26 آذار 2015 كان اليمن قد تحرّر عبر إنتفاضة شعبية وعسكرية تشاركت فيها اللجان الثورية والشعبية والجيش والعشائر والنخب، وتساقطت المدن والبلدات والمناطق والثكنات والمؤسسات بأيدي المنتفضين، ولم يجد رجل السعودية في اليمن منصور هادي من يحمل له صورة، أو يطلق دفاعاً عنه رصاصة، من صنعاء إلى عدن، وكان الإجماع على أن الحل السياسي اليمني اليمني يوازي الإجماع على التمسك بالاستقلال، لكن في 26 آذار 2015 أعلن آل سعود أنهم قرروا إنهاء الاستقلال اليمني وفرض نظام الوصاية والاحتلال على اليمن، وفي ظنهم أن الأمر رحلة أيام يمضيها ولي العهد الذي أراد تدشين زعامته للعالمين العربي والإسلامي بحرب خاطفة ونصر حاسم يؤدّب خصومه، ويفرض مهابته، تمهيداً للتبشير بصفقة القرن التي تم إعدادها بالتشارك مع رئيس حكومة الاحتلال بنيامين نتنياهو، وعنوانها، القدس عاصمة أبدية موحدة لـ«إسرائيل». – في 26 آذار 2015 كان وزير خارجية منصور هادي، رياض ياسين يعلن من شرم الشيخ حيث انعقدت القمة العربية التي أعلنت دعم العدوان السعودي ووفّرت له التغطية، أن إيلات لن تكون بعد اليوم في مرمى الصواريخ التي تتخذ من الحديدة مراكز انطلاق لها لتهديد أمن «إسرائيل» في أي حرب مقبلة. وها هي الحرب تدخل سنتها الخامسة، وأحلام ولي العهد السعودي كما وعود منصور هادي وجماعته، وصفقة القرن، وأمن إيلات، تتبخّر جميعاً، والحديدة صامدة بأيدي المقاومين اليمنيين، والعالم الذي باع لحكام السعودية قرارات أممية تغطي العدوان وتتبنّى شروطه يبحث عن كيفية التموضع على شروط للتسوية تأخذ بالاعتبار نهاية الحقبة السعودية، كنتيجة حتمية لفشل الحرب. – نجح حكام السعودية بارتكاب أضخم مجزرة بشرية في التاريخ، والتسبّب بأكبر مجاعة، وتشريد أكبر عدد من السكان والأطفال والنساء بلا مسكن ولا طعام ولا دواء، لكنهم فشلوا في الفوز برهان الحرب التي خاضوها منذ خمس سنوات، وفي ظنهم أنها حرب خمسة أيام أو خمسة أسابيع، ونجح أبطال اليمن وقيادتهم الشجاعة والحكيمة في تكرار ما فعله أبطال فييتنام وقيادتهم الشجاعة والحكيمة، بتخليص البشرية من نير عبودية غاشمة وغشيمة، تنتمي للجهل والظلمة والظلم، لقد خاض اليمنيون حربنا جميعاً بالوكالة، كما خاض آل سعود ومَن معهم حرب الأميركيين والإسرائيليين والإرهاب جنباً إلى جنب، فهزموا جميعاً، وانتصرنا. – إنها بداية الزمن اليمني. Nearly 5 years on the Saudi brutal aggression on Yemen, the Saudi killing machine continues to slaughter civilians amid an international silence. 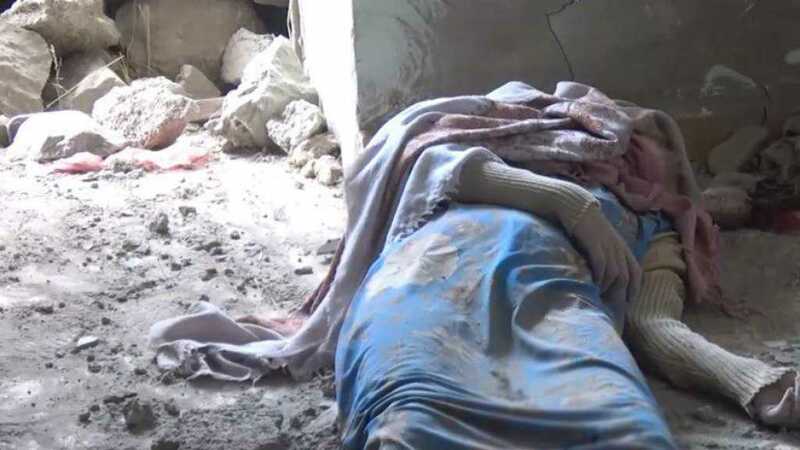 In a new massacre, two dozen women and a child have been martyred in the latest round of Saudi airstrikes in Yemen. Local sources, speaking on condition of anonymity, said Saudi warplanes bombarded residential buildings in Talan village of Kushar district in Yemen’s northwestern province of Hajjah on Sunday afternoon, leaving 20 women and a child dead, Arabic-language al-Masirah television network reported. The sources added that the attacks leveled five houses to the ground. Locals were looking for possible survivors under the rubble. Saudi warplanes also reportedly targeted ambulances, preventing doctors and paramedics from reaching the area. The leader of Yemen’s Ansarullah movement recently said Yemeni women and children are being brutally killed by US and Western-made munitions used in the campaign. For his part, the adviser of the Human Rights Ministry in Yemen stressed that the crime reflects the defeat of the aggression forces and tools. “The United Nations organizations must carry its responsibility to investigate the facts and document the crimes of the Saudi aggression in Yemen,” he added. 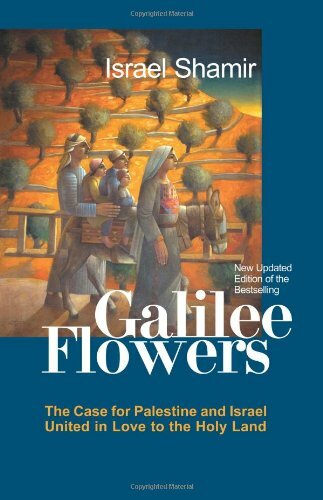 I wasn’t waiting to see if the Arabs participating in the most recent US charade against the free world would exchange Valentine’s love cards with the “Israelis” or not. That is something only a person who is acutely naive would doubt. I just wanted to see if they did it publicly or not. 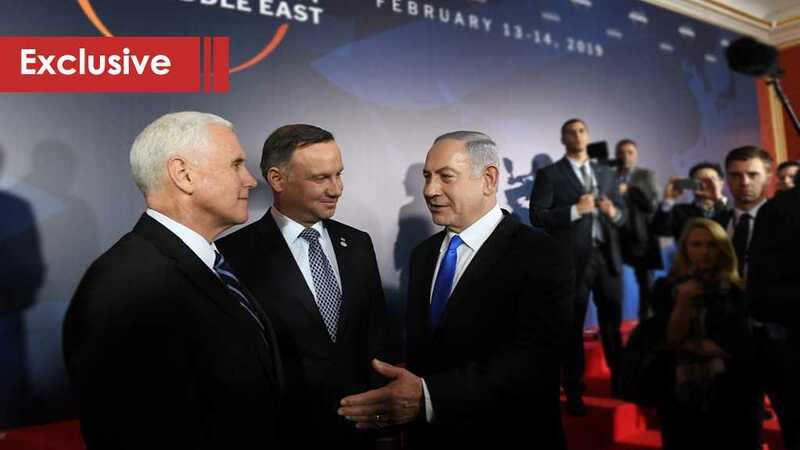 After all, the bosses of Pence and Pompeo are the same ones who need to ensure that the bloodthirsty Netanyahu continues his rampage against Palestinian children and that can only be accomplished by getting him to win elections, the results of which would be almost secured if the scandal-plagued Zionist PM proves to the settlers that he’s opening Arab airports for them. One way or another, the “Israeli” media was going to celebrate candlelight dinners between the lords of Petroleum and the PM who, not so long ago, was shown on video speaking openly about the US public opinion being his to manipulate. They, the “Israeli” newspapers and TV stations, leak such news frequently. And, unfortunately, this is one aspect where public deception is not the case. It is all related to Venezuela, whose legal president, Mr. Nicolas Madura, has proved that it is possible for a Latin to be more Arab than many of those who wear the traditional Dishdashah. Actually, more humanely correct and closer to the philosophy of Islam than most of them. Mr. Maduro and the brave people of Venezuela are living proof that the gap between Christianity and Islam is nonexistent when it comes to right and wrong. The major Latin American nation has been subject to enormous pressures by the US for as long as we can remember. The Venezuelans’ natural tendency to refuse being dictated to has led them to be on the blacklist of the CIA; they are simply too proud to receive late night phone calls from some American ambassador and this is just unfathomable to the agency that orchestrated the infamous Operation Condor. They want to control Venezuela’s natural resources and its politics. Nevertheless, it has become obvious that the objective behind the insistent campaign to destroy the very foundations of Venezuela and starve its citizens goes beyond wanting to turn it into another puppet state. 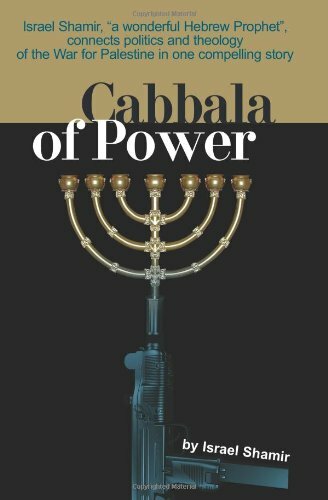 The graduates of Kissinger’s school of political terror have found that bringing a nation like this great Bolivarian one with all its top natural and human resources to its knees would serve as a lesson to the Arab leaders who were still hesitant regarding being seen in the same room with “Israel” and Cupid. 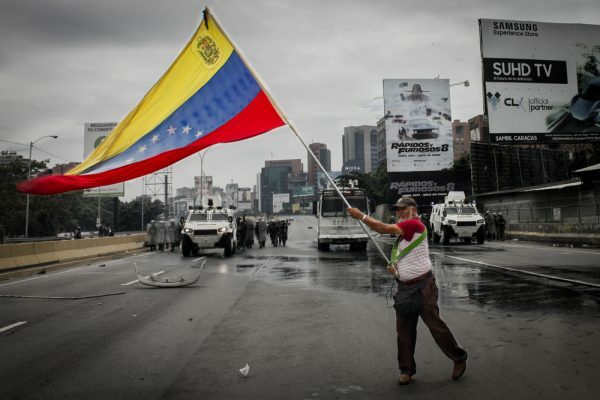 If the CIA can starve the Venezuelans into overthrowing a government that says NO to imperialism, then the same could be done with the dictators of the Gulf region. It’s a very simple concept: Forget the Palestinians or we will bring someone in your place who would. The exaggerated “Israeli” flag portrayed during the separatists’ demonstration in Venezuela was a signal to Arabs preparing to fly to Warsaw. Pompeo probably authorized the $10 payment to each person carrying it while planning the shameful seating arrangements for the summit along with the comical little microphone act that was staged. Iran has been subject to crippling embargos for the past 40 years; high-quality medicine is not only produced there, but it is also affordable by everyone. There is no fear of falling sick in the Islamic Republic and not finding the proper medical attention for free. Even dental care which is not covered by insurance in so many so-called first world countries is available free of charge in centers around the Iranian capital. This is just one simple example of what an anti-imperialist government gives to its people. President Maduro realizes this and so do the majority of his people. There is no doubt that Venezuela will pull through this ordeal and it will do so by primarily sticking to its high ethical standards in international affairs and then by keeping its close relationships with the countries supporting real independence and freedom of choice. The assassin of Imam Mohammad Baqir Al Sadr was buried in disgrace. The kidnapper of Imam Mousa al-Sadr was buried in disgrace. Those trying to assassinate Palestine will be buried in disgrace. No amount of celebrating Valentine’s with Netanyahu by officials will make the Arab citizen forsake his true love, Jerusalem.